Illustration by Samar Haddad. 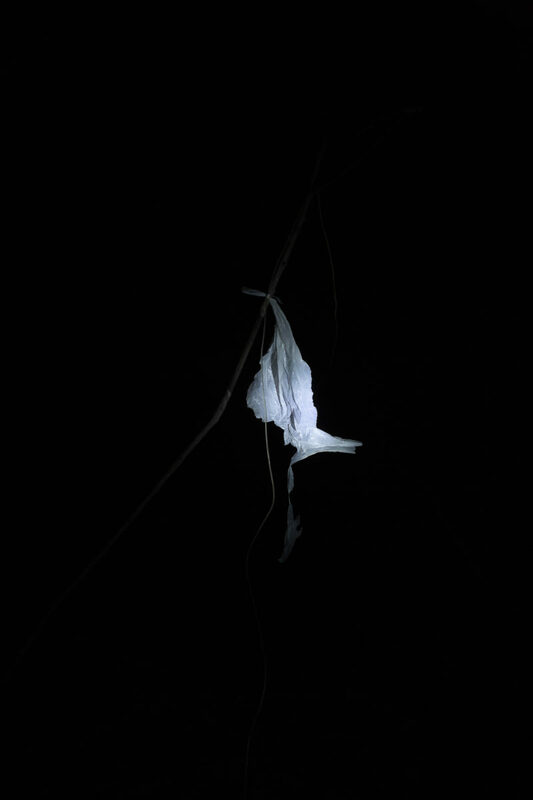 Photos by Felipe Luna. 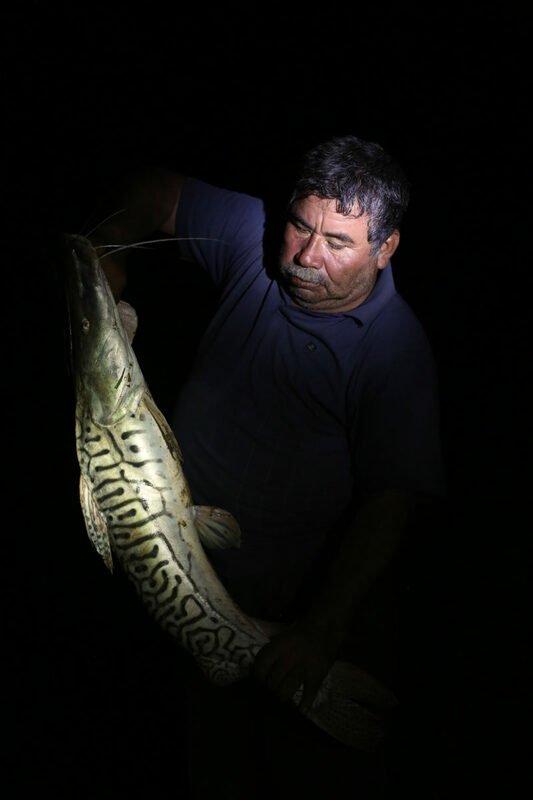 The surubí, a species of catfish native to the Bolivian Amazon and an important source of protein for rural communities there, has grown scarce in the years since the paiche first arrived in the region. Gabriel Justiniano Montaño, twenty-four, caught his first paiche at the age of twelve. The giant fish pulled so hard it brought him to his knees. 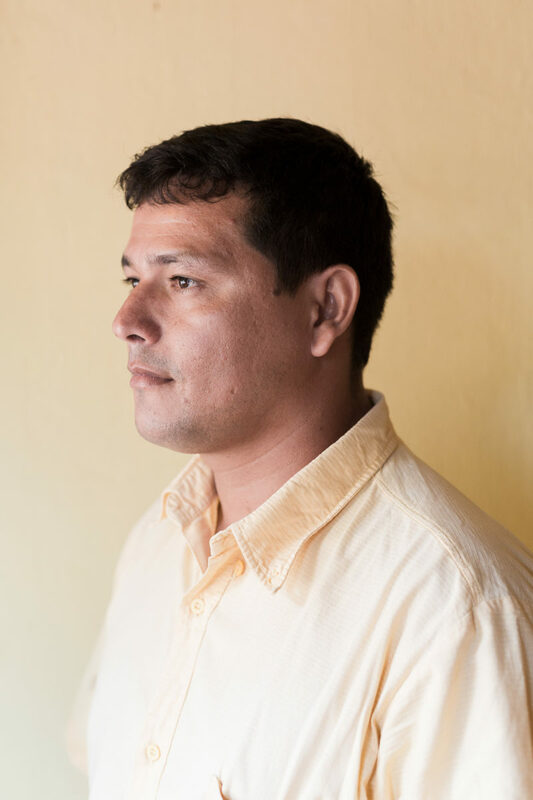 Donald Dorado Araú comes from a family of fishermen in the border town of Guayaramerín. Since his brother’s death, eight months ago, he’s dedicated his time to building a fishermen’s association for nearby communities in order to fix a fair price for their catch. 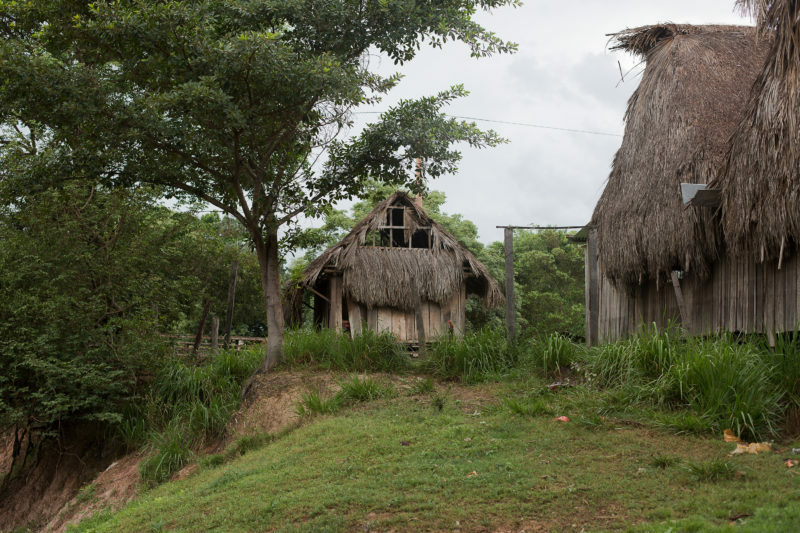 Throughout Bolivia’s vast Amazon Basin, rural villages have been transformed by the arrival of the paiche, which now provides a source of income throughout the year. 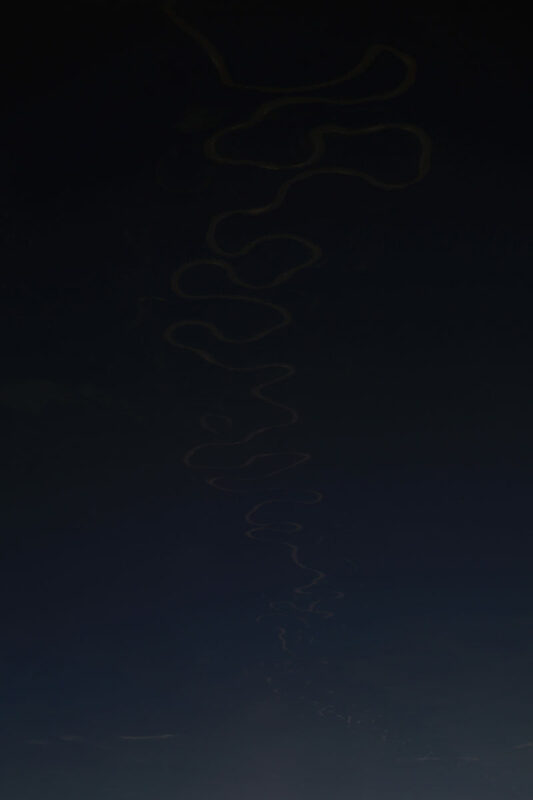 Scroll right to view more images. All photos by Felipe Luna. Jairo Canamari fishes for paiche. Fishermen from the village of Trinidadcito in northern Bolivia have reshaped their entire economy around the arrival of the paiche in the Lago Mentiroso—or Lying Lake—which lies a short distance upstream. 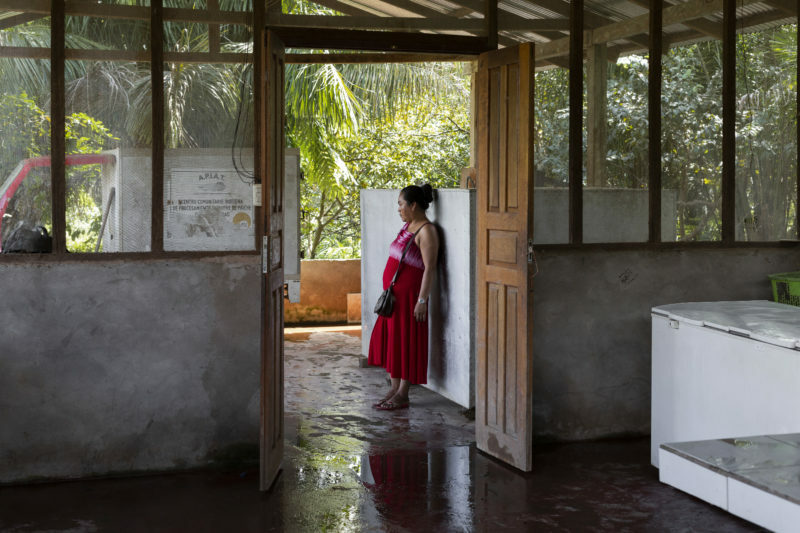 In Bolivia's centers of political power, far away in the Andean highlands, the Amazon is an afterthought, a literal backwater, and the fishing industry a negligible part of a fledgling economy focused on exporting energy. 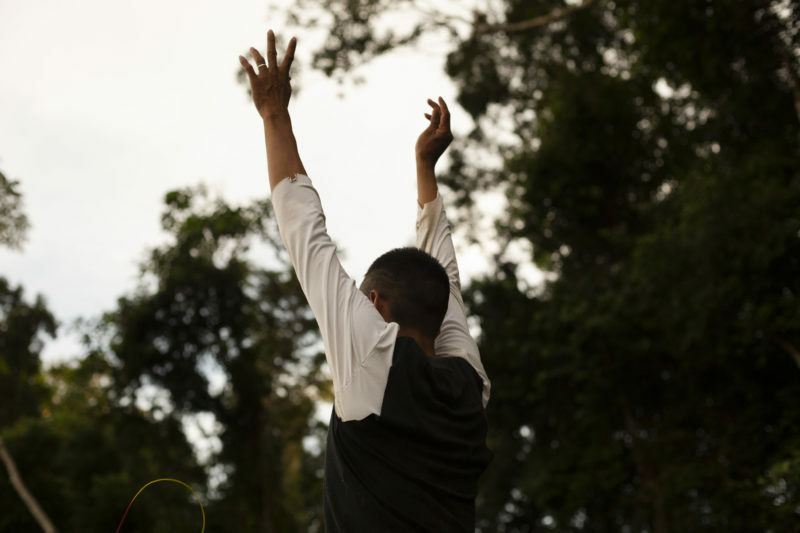 The problem of the paiche is not just an ecological problem—it's also a political one. A lack of political will in Bolivia; international conservation law that works according to national, rather than environmental, borders; energy policy and the economic dominance of Brazil—all of these problems contribute to the paiche's spread. 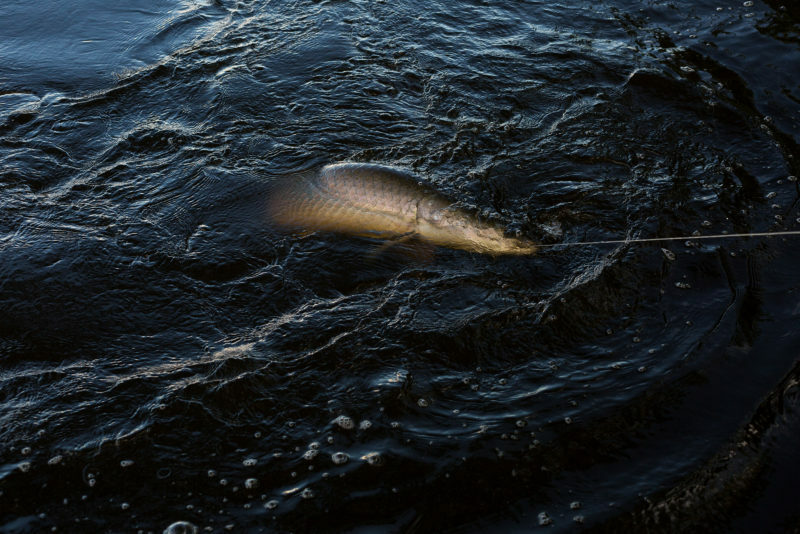 The paiche, or Arapaima gigas, is the largest scaled fish in the Amazon. Threatened in its native Peru and Brazil, it entered Bolivia in the late 1970s and has since come to dominate nearly a quarter of that country's Amazon basin, hunting along the edges of oxbow lakes where it consumes the young of native species that, fishermen here say, are now slowly disappearing. Easier to catch are pirañas, a fatty delicacy in the Bolivian Amazon, which fishermen like Ahismed Justiniano Montaño boil or fry for breakfast and lunch while out on multi-day fishing trips. Though most fishermen still discard the skin and scales, some in Bolivia are trying to help fishing communities learn to monetize these products, turning the skin into leather and using the scales—as indigenous communities in the fish's native range still do—as ornaments or as nail files. Fishermen in the Mentiroso have developed new techniques over the years. Today, young fishermen go in groups and set up camp on the muddy shores of the lake. They set up lines among the roots that border the lake and mark them with torn plastic bags that jerk in mid-air whenever there's a catch. The paiche, which have to surface from the oxygen-poor water to breathe every fifteen to twenty minutes, reproduce with alarming efficiency, aggressively herding and guarding schools of their young. Tracking infant paiche across the Lago Mentiroso, they emerge with a shimmer every few minutes, followed by the tall, black arch of their father's back. Carlos Cruz, seventy-four and the oldest fisherman in Trinidadcito, spotted his first paiche thirty-five years ago. “We hadn’t heard anything about it,” he told me. “We didn’t know what kind of beast it might be." A few years back, NGOs helped construct a processing center in Trinidadcito, where fishermen and their families could break down the fish and store them before sending them to Riberalta, the largest city in the Bolivian Amazon, to be sold. 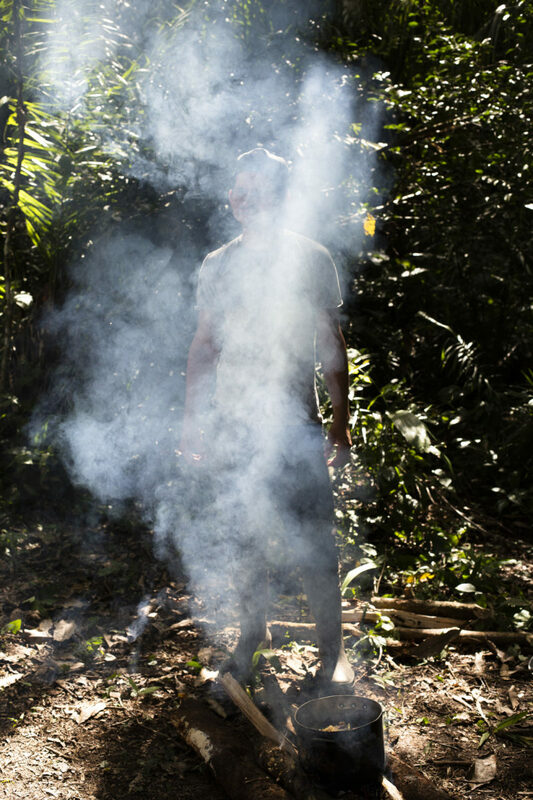 Rafael Suarez—better known as Junior—is the grandson of the founder of Cachuela Esperanza, a riverside town in the Bolivian Amazon that grew rich in the late-nineteenth and early-twentieth centuries on the rubber trade. 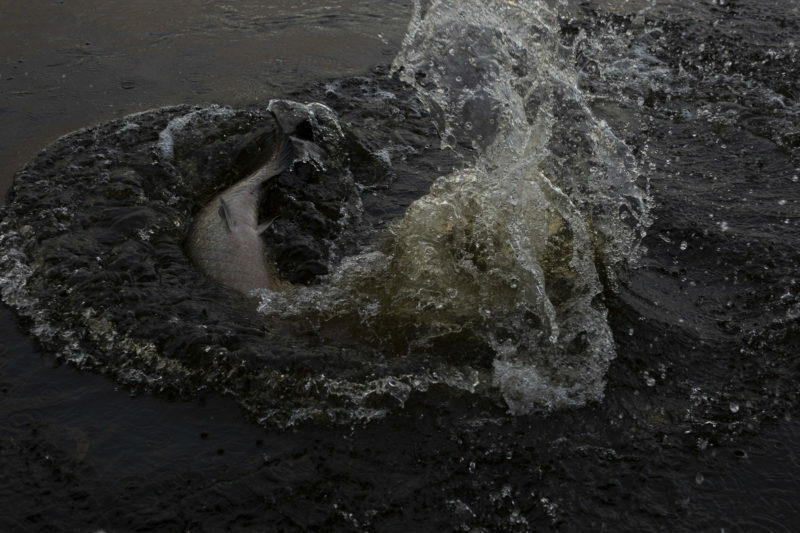 Today, the few residents who remain in Cachuela Esperanza earn their living fishing yatorana in the Beni River, but they worry that the planned hydroelectric project will not only stop the migration patterns essential to their local fish stock, but also also further facilitate the paiche’s invasion of their river. 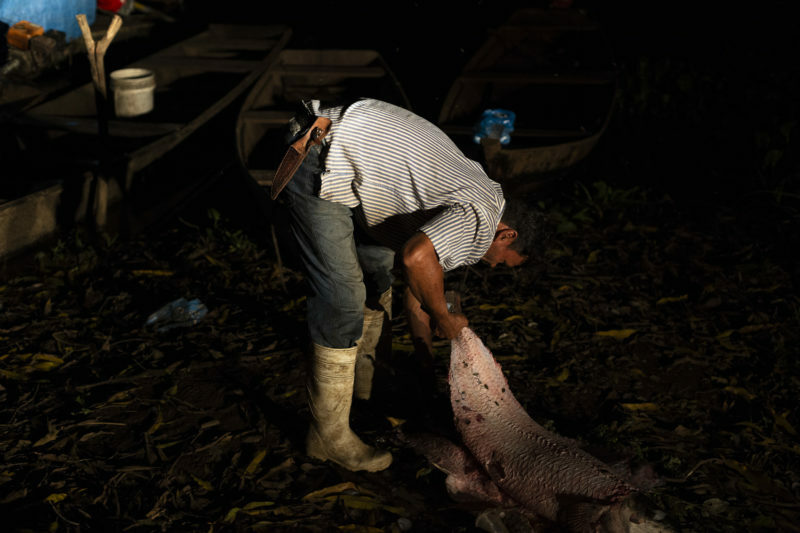 For fishermen and consumers alike, the lack of power along the fish's supply chain and the cost of ice have been a major stumbling block to accessing a commercial market for paiche meat, which is gradually gaining popularity in Bolivia's urban centers. Though more successful paiche merchants are able to send their product from the lowlands to the highland cities by air, many still send the fish by bus, a journey of some thirty hours from Riberalta to La Paz along dirt roads that flood in the rainy season, and up a harrowing, hairpin road through the Andes that is among the world's most hazardous highways. 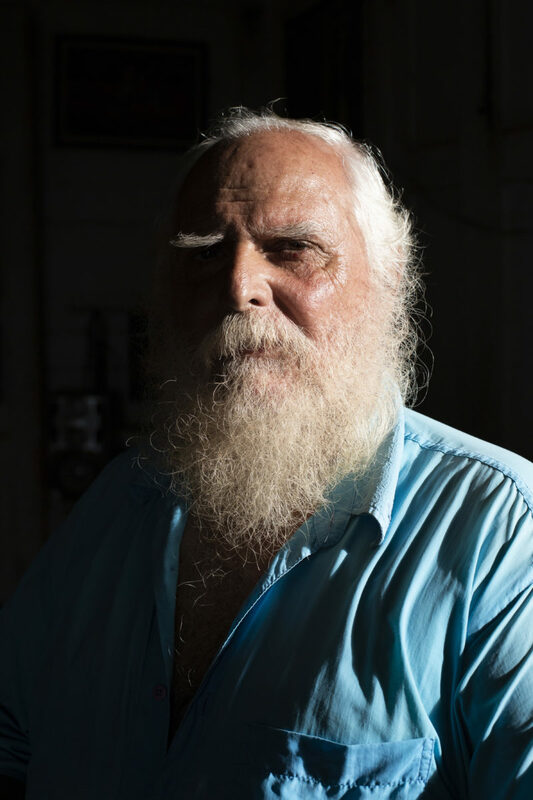 Savaraín Suarez leads the fishermen's cooperative in the town of San Buenaventura, just south of the paiche's current range. 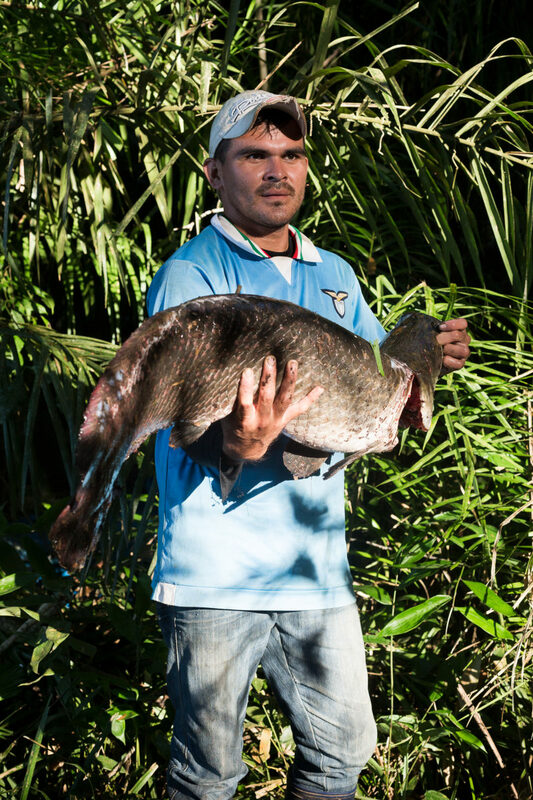 Here he holds a pintado, one of several local catfish species that are slowly disappearing from Bolivia's Amazon, largely, he and other fishermen believe, due to the predation of the invasive Arapaima gigas. 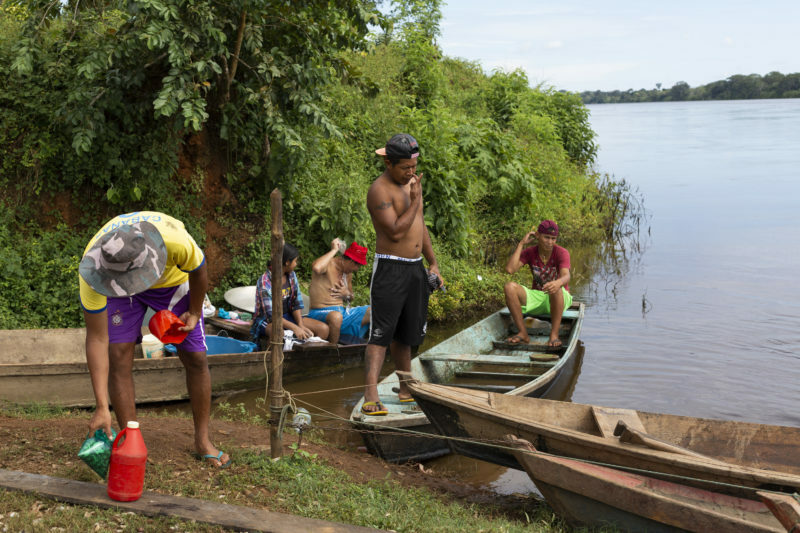 In San Lorenzo, a village on the Mamoré River, which forms part of the border between Brazil and Bolivia, fishermen have only been catching paiche for the last four years. 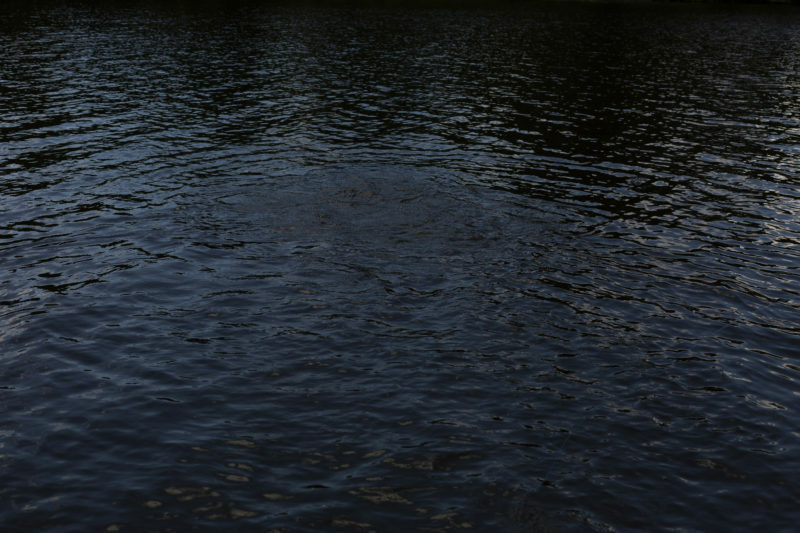 Before that, they say, they had never seen the fish in their river. Fishermen in San Lorenzo have yet to decide if they think the paiche is a blessing or a curse. 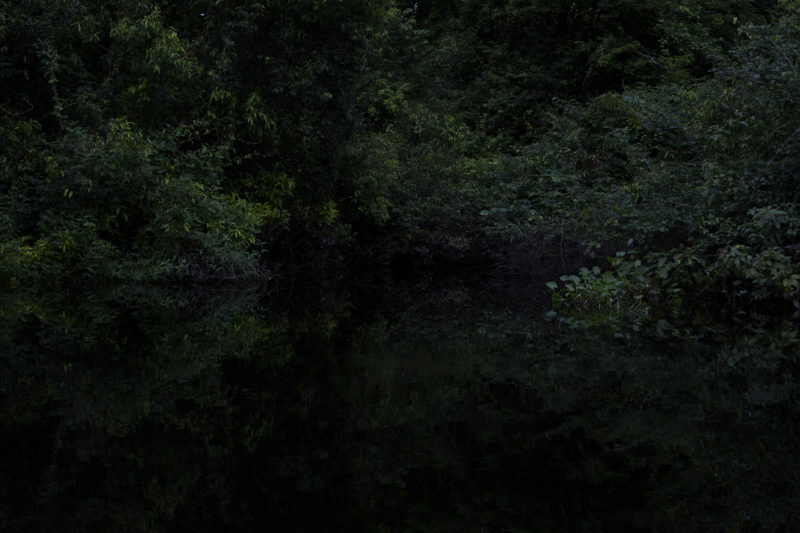 Nearly every man there lives on what he can earn by fishing the new species, but for most its presence is also an indication of an uncertain future. It's unclear just how long the paiche has been in the Mamoré or exactly how it got there. 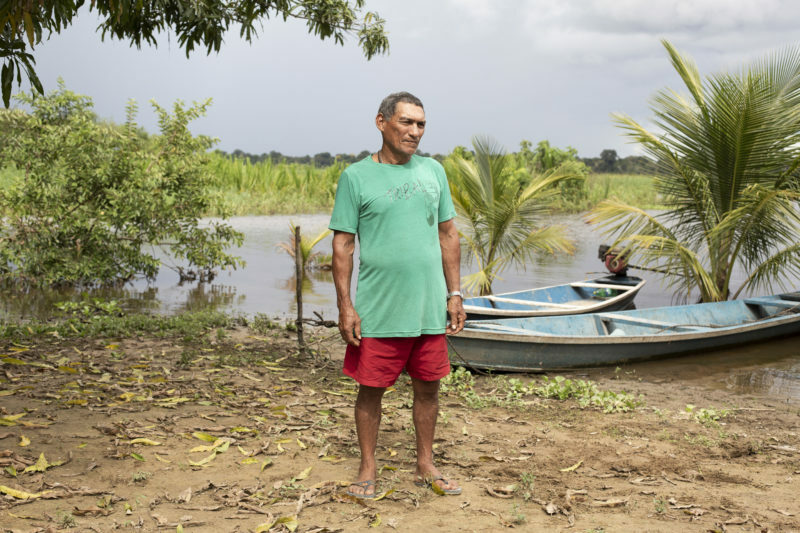 Many fishermen here believe it entered half a decade ago, the result of an especially heavy flood season that was precipitated, they say, by the construction of hydroelectric dams across the border in Brazil. 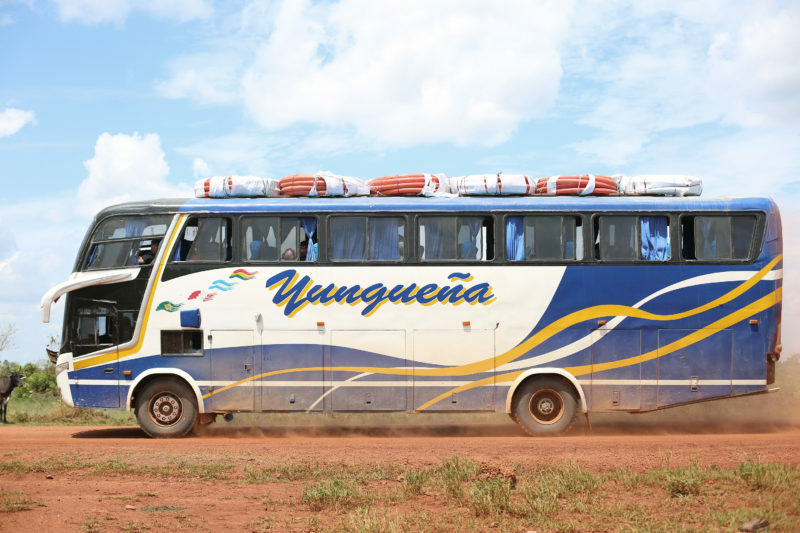 Taking paiche from San Lorenzo to the nearest major town, the border post of Guayaramerín, takes four hours on a good day. 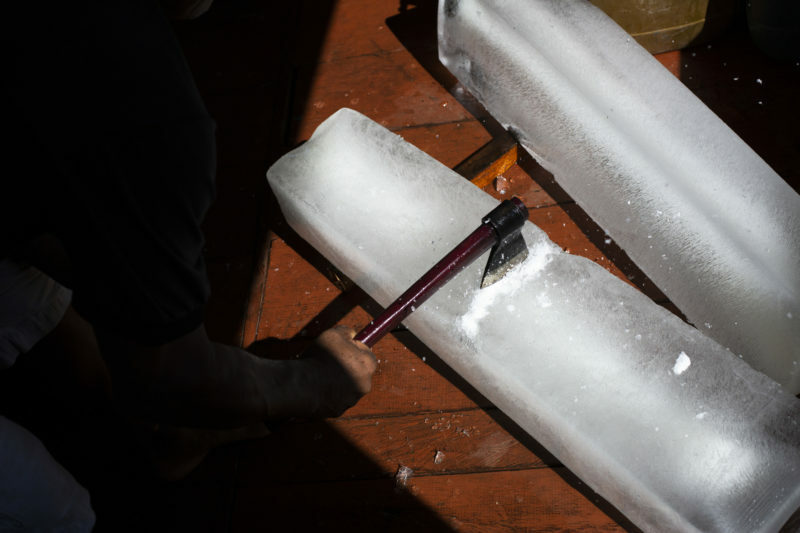 In the rainy season, it can take six or seven hours, during which time the product sits in the backs of pickup trucks, packed with a minimum of ice, spoiling under the hot tropical sun. 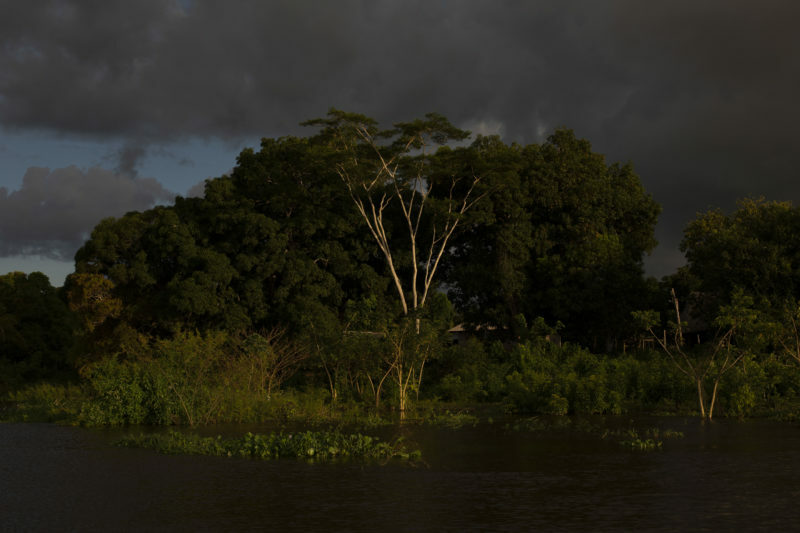 On the Brazilian side of the Mamoré, across from San Lorenzo, the Medero family lives on a plot of land that they call Deus Que Me Deu, or What God Gave Me. They live principally by farming, despite the fact that they're fishermen and could access paiche easily. 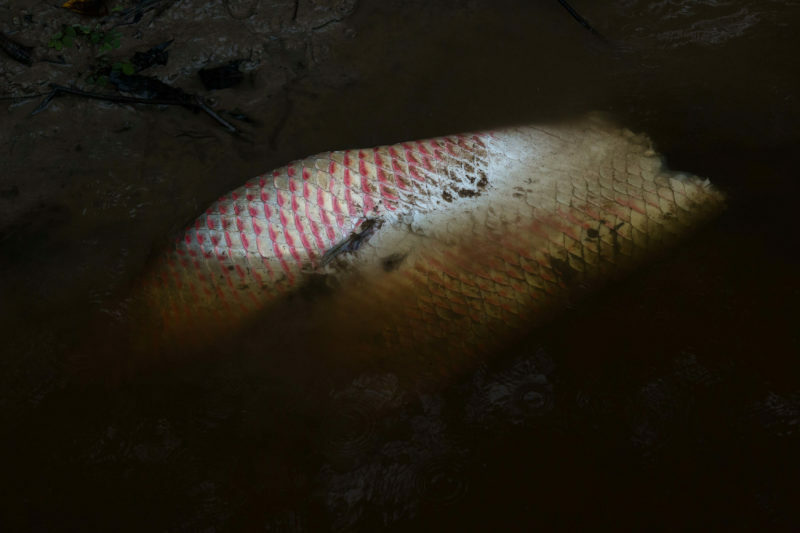 Conservation law makes fishing paiche in Brazil, where the fish is technically considered threatened, illegal, despite the fact that the fish was never actually native to this part of the Brazilian Amazon. On average, Bolivians eat less than three kilos of fish per person per year, and at least half of what they do it is imported from neighboring countries. The result is depressed prices on products fished within Bolivia. 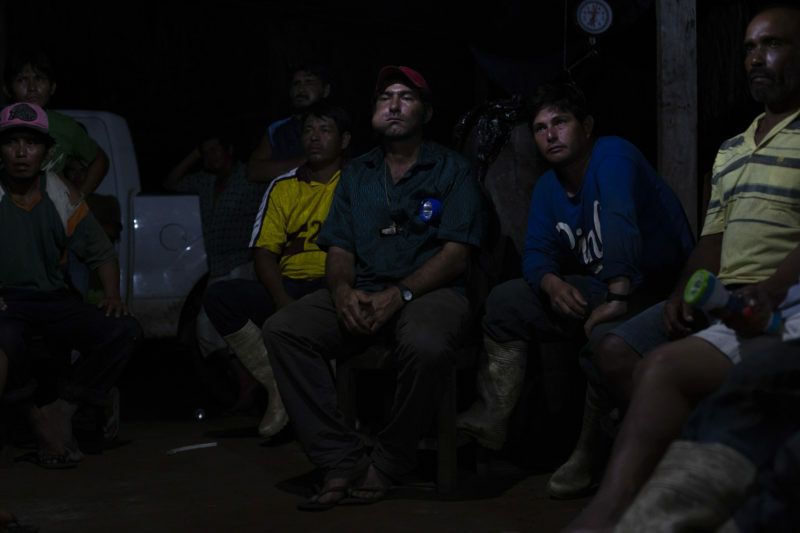 In San Lorenzo, fishermen gathered on a hot summer night to talk about the possibility of unionizing to demand a fair price paiche. For now, the fish continues to extend its range by more than thirty kilometers each year. 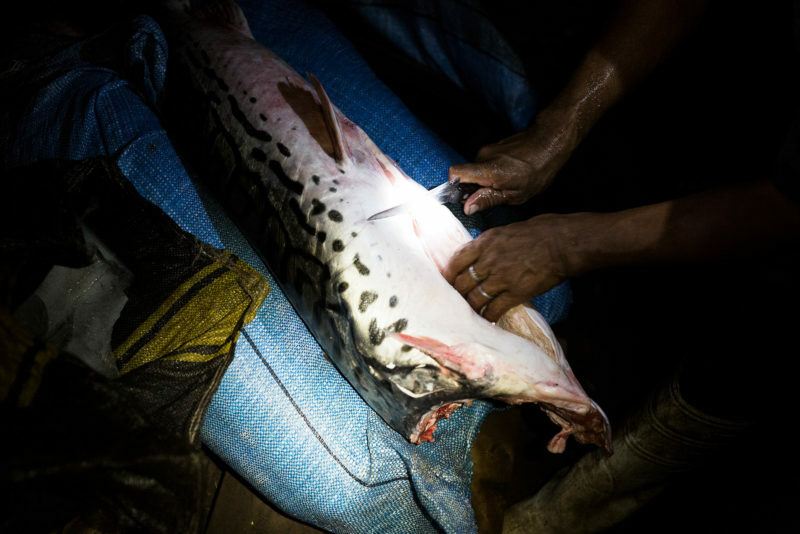 Elsewhere, in farther reaches of the Bolivian lowlands, poorly regulated fish farms have started raising the fish, creating a threat for all of the country's lowland rivers. All it will take is another major flood for the paiche to conquer even more of the country's precious aquatic habitats. 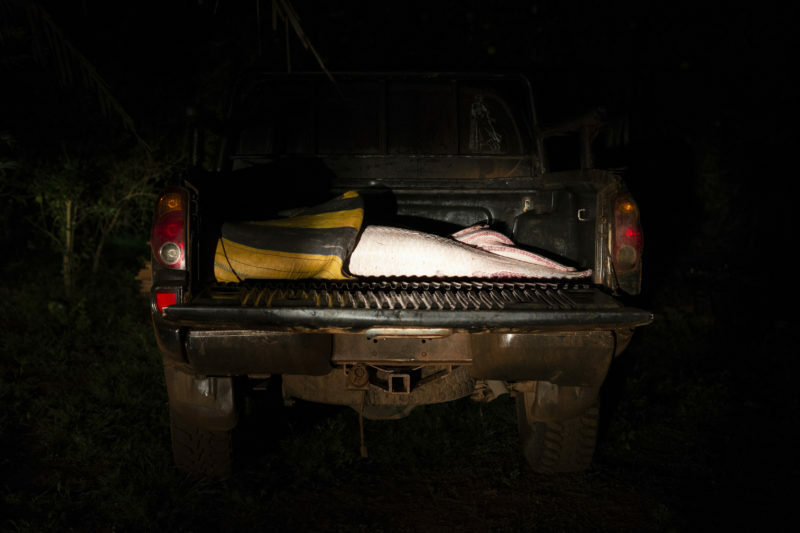 Fishermen in Bolivia are still just learning to catch the invasive giant. In Lago Mentiroso, they use only fishing lines. Elsewhere, fishermen use nets, which are more efficient, but which also capture native species. This story was sponsored by a grant from the pulitzer center for crisis reporting. 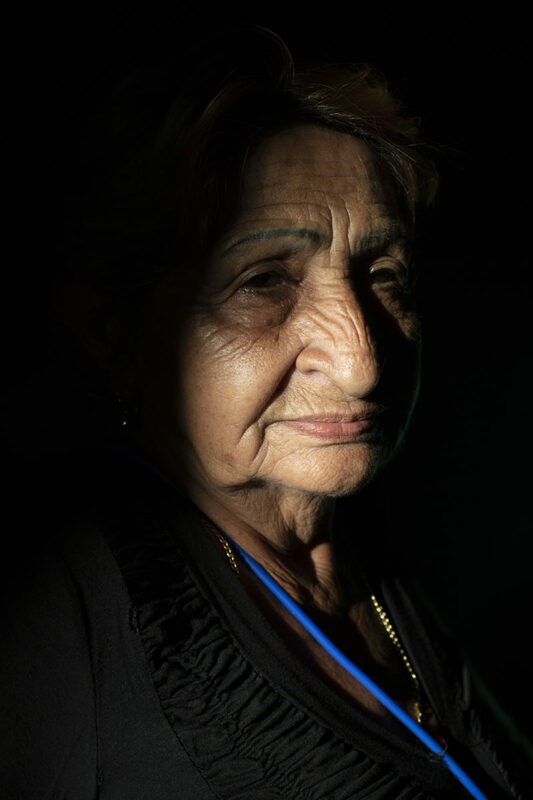 The photography featured was sponsored by a memorial fund honoring harriett and seymour shapiro, and carl shapiro.